Aerotenna, the leader in radar sensing and SoC flight control technologies for unmanned aerial vehicles (UAV), and Windhover Labs, the developer of low-cost, safe, and high-performance drone software, have collaborated on an autonomous flight solution that provides the level of safety, reliability, and intelligence required for safely operating drones beyond visual line of sight. The goal of the collaboration is to develop a hardware and software flight control solution that ensures drones can be safely integrated into the National Airspace System. Usage of civilian drones is increasing worldwide, and the Federal Aviation Administration (FAA) forecasts sales of small unmanned aircraft systems (UAS) to nearly triple in the next four years. However, before we can see mass usage of drones in the skies overhead, first the FAA must adopt regulations enabling drones to fly beyond visual line of sight in the national airspace. The technical requirement is for drones to be equipped with sophisticated hardware and flight software that enable a high level of safety meeting FAA standards. Thus, safety is the biggest technical and regulatory barrier drone manufacturers and technology providers must overcome in order to accelerate this new flourishing industry. Current unmanned aircraft systems were designed to be controlled by a pilot, and therefore are not capable of the high-level decision making required for more autonomous operation. This deficiency requires the human pilot to have visual line of sight access to the drone as required by the FAA in order to sense the surrounding environment and avoid collisions. A more intelligent “brain” onboard the drone is needed to enable autonomous decision making. To overcome this technical barrier, Windhover Labs is working with Aerotenna to implement its aviation-grade Windhover flight software, based on NASA’s Core Flight Software (CFS), onto Aerotenna’s OcPoC, a FPGA SoC-based flight controller with robust capabilities for sensor fusion and real-time processing. Flying drones safely in the national airspace is similar to flying autonomous spacecraft in outer space, and Windhover flight software has a heritage and proven track record of mission success in space flight where autonomous operation is often a must. 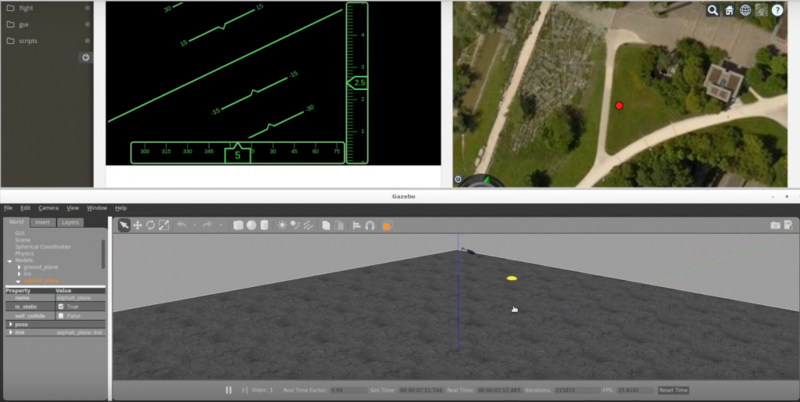 Windhover flight software is the most sophisticated flight software for drones. In addition to providing an autopilot for basic flight control and stabilization, Windhover flight software increases the drone’s autonomous decision making power with robust onboard monitoring of the autopilot, fault detection and response. Aerotenna’s OcPoC flight controller, based on SoC FPGA technology, has the real-time processing power to support the onboard processing requirement of Windhover flight software. In addition, OcPoC’s sensor fusion capability enables the drone to use multiple sensors, including Aerotenna’s robust microwave radars, to further minimize the risk of airborne collisions and crashes. 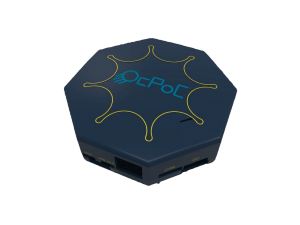 The Windhover flight software on OcPoC autonomous flight solution combines the most advanced drone software and hardware technologies today to form the intelligent “brain” onboard the drone. Ultimately, Aerotenna and Windhover Labs hope this safety-focused solution will become one of the milestones on the way to mass application of drones in the national airspace. With safety addressed, users can focus on the efficiency and productivity of their drone applications rather than worry about how the drone can fly safely, and more drone applications such as drone delivery will become a reality to serve society.